As more babies are being born to Cardiff City mothers, I believe this increase will continue to add pressure to the over stretched Cardiff City property market and materially affect the local property market in the years to come. On the back of eight years of ever incremental increasing birth rates, a significant 12.75 babies were born for every new home that was built in the Cardiff City council area in 2016. I believe this has and will continue to exacerbate the Cardiff City housing shortage, meaning demand for housing, be it to buy or rent, has remained high. The high birth rate has meant Cardiff City rents and Cardiff City property prices have remained resilient – even with the challenges the economy has felt over the last eight years, and they will continue to remain high in the years to come. This ratio of births to new homes has reach one its highest levels since 1945 (back in the early 1970’s the average was only one and a half births for every household built). Looking at the local birth rates, the latest figures show we in the Cardiff City council area had an average of 54.6 births per 1,000 women aged 15 to 44. Interestingly, the national average is 61.7 births per 1,000 women aged 15 to 44 and for the region its 60 births per 1,000 women aged 15 to 44. The number of births from Cardiff City women between the ages of 20 to 29 are significantly lower than the national average, but those between 35 and 44 were much higher. However overall, the birth rate is still increasing, and when that fact is combined with the ever-increasing life expectancy in the Cardiff City area, the high levels of net migration into the area over the last 14 years (which I talked about in the previous articles) and the higher predominance of single person households … this can only mean one thing … a huge increase in the need for housing in Cardiff City. Again, in a previous article a while back, I said more and more people are having children as tenants because they feel safe in rented accommodation. Renting is becoming a choice for Cardiff City people. The planners and Politian’s of our local authority, central Government and people as a whole need to recognise that with individuals living longer, people having more children and whilst divorce rates have dropped recently, they are still at a relatively high level (meaning one household becomes two households) … demand for property is simply outstripping supply. … be that for buying or renting. Only 1.1% of the Country is built on by houses. Now I am not suggesting we build tower blocks in the middle of the Cotswolds, but the obsession of not building on any green belt land should be carefully re-considered. Yes, we need to build on brownfield sites first, but there aren’t hundreds of acres of brownfield sites in Cardiff City, and what brownfield sites there are, building on them can only work with complementary public investment. Many such sites are contaminated and aren’t financially viable to develop, so unless the Government put their hand in their pocket, they will never be built on. I am not saying we should crudely go ‘hell for leather’ building on our Green Belt, but we need a new approach to enable some parts of the countryside to be regarded more positively by local authorities, politicians and communities and allow considered and empathetic development. Society in the UK needs to look at the green belts outside their leisure and visual appeal, and assess how they can help to shape the way we live in the most even-handed way. Interesting times! The next five years will see an interesting change in the Cardiff Bay property market. My recent research has concluded that the rent private tenants pay in Cardiff Bay will rise faster than Cardiff Bay property prices over the next five years, creating further issues to Cardiff Bay’s growing multitude of renters. In fact, my examination of statistics forecasts that ..
By 2022, Cardiff Bay rents will increase by 22%, whereas Cardiff Bay property values will only grow by 17%. Over the last five years, property values in Cardiff Bay have risen by 22.4%, whilst rents have only risen by 7.2%. Throughout the last few years, and compounded in 2016, tenant demand for rental properties continued to go up whilst the Press predicted some landlords expect to reduce their portfolios in the next couple of years, meaning Cardiff Bay tenants will have fewer properties to choose from, which will push rents higher. In fact, talking to fellow property professionals in Cardiff Bay, there appears to be privation and shortage of new rental properties coming on to the Cardiff Bay lettings market. Landlords have some intriguing challenges ahead of them in the coming years most notably in that the Tory’s have changed the taxation rules for landlords in the way buy to let properties are to be taxed. On top of that, there is the ban on letting agent fees which is still to come into force (probably in 2018). When that happened in Scotland in 2012, Scottish letting agents passed on those fees to their landlords, who in turn increased the rent they charged to their tenants. All I would say to Theresa May and Philip Hammond is that they must be wary about indicating both red and green lights at the same time to the private rented sector. They can’t expect the armies of small private landlords to continue to house around a fifth of the population and then tax the hell out of them. They didn’t invest in buy to let as a charity or to satisfy any philanthropic urges. Something has to give – and that will be significant rent rises over the coming few years (and before anyone gives me any derogatory comments about landlords … if it wasn’t for landlords buying all these buy to let properties over the last 15 years, I am not sure where everyone would be living today – because most the Council houses were sold off in the 1980’s!). With the challenges ahead, with the ‘B’ word (that’s budget if you wondered! ), house price inflation will be tempered over the coming five years in Cardiff Bay. As I have discussed in previous articles, the number of properties on the market in Cardiff Bay remains close to historic lows, which is both good as it keeps houses prices relatively stable, yet not so good as it impedes choice for buyers… and hence why I believe property values in Cardiff Bay will only be 17% higher in five years’ time. These are interesting times. 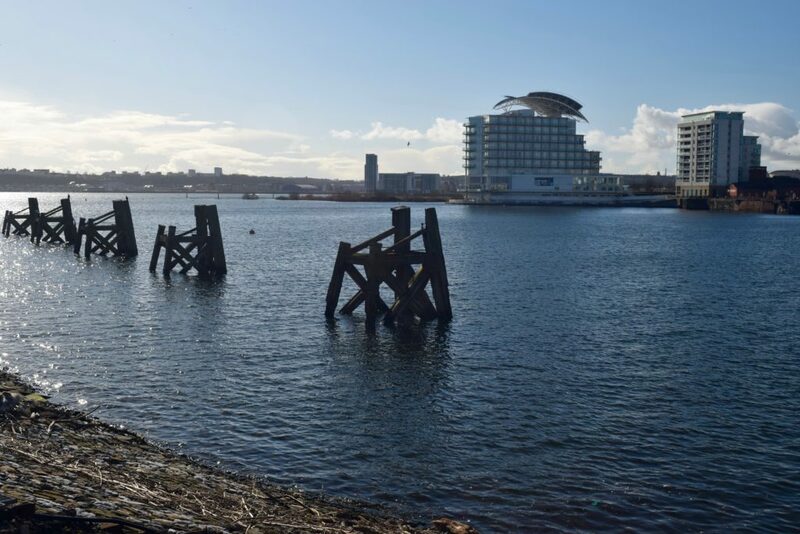 There is still money to be made in buy to let in Cardiff Bay – Cardiff Bay landlords will just need to be smarter and more savvy with their investments. 2017 has started with some positive interest in the Cardiff property market. Taking a snap shot of the Cardiff property market for the first quarter of 2017, the picture suggests some interesting trends when it comes to the number of properties available to buy, their asking prices and what prices properties are actually selling for. So when we add in building plots and other types of properties that don’t fit into the four main categories, that means there are 2,606 properties for sale today compared with 2,718 a year ago, a drop of 4%. to the same as a year ago, are 3% lower. With that in mind, I wanted to look at what property was actually selling for in Cardiff. Taking my information from the Land Registry, the last available six months property transactions for CF11 show an interesting picture (note the Land Registry data is always a few months behind due to the nature of the house buying process and so November 2016 is latest set of data). The price shown is the average price paid and the number in brackets is the number of properties actually sold. So what does all this mean for the property owning folk of Cardiff? Well, with less property on the market than a year ago and asking prices 3% lower, those trying to sell their property need to be mindful that buyers, be they first timers, buy to let landlords or people moving up the Cardiff property ladder, have much more price information about the Cardiff property market at their fingertips than ever before. These Cardiff people who are looking to sell their property in 2017, need to be aware of the risks of over pricing their property when initially placing it on the market. Over the last 12 months, I have noticed the approach of a few Cardiff estate agents is to suggest an inflated asking price to encourage the homeowner and secure the property to sell on their books. The down side to this is that when offered to the market for the first time, buyers will realise it is overpriced and wont waste their time asking for a brochure. They won’t even view the property, let alone make an offer. So when the price is reduced a few months later, the property has become market stale and continues to be ignored. Whilst the Cardiff property-market has an unassailable demand for property – there is one saying that always rings true – as long as the property is being marketed at the right price it will sell. If you want to know if your Cardiff property is being marketed at the right price, send me a web link and I will give you my honest opinion. A Cardiff homeowner emailed me last week, following my article posted in the Cardiff Property Blog about the change in attitude to renting by the youngsters of Cardiff and how they thought it was too expensive for first time buyers to buy in Cardiff. There can be no doubt that buy to let landlords have played their part in driving up property values in Cardiff (and the UK) and from that made housing a lot less affordable for the 20 and 30 somethings of Cardiff. In the email, they said they thought the plight of the first-time buyers in Cardiff was like a novice tennis player, playing tennis with Andy Murray. If you played him once you will unquestionably lose and if you were to play him 100 times you would lose 100 times. That is what they thought it was like for all the 20 something’s first time buyers of Cardiff going against all the buy to let landlords. They went on and asked if the Bank of England (BoE) should be tasked to control house price inflation in the same way as the BoE controls inflation. The BoE has a target for the annual inflation rate of the Consumer Prices Index of 2%, whilst it is also required to support the Government’s economic policy, including its objectives for growth and employment. So, should BoE be charged with containing buy to let housing market, by possibly changing the rules on the loan-to-value (LTV) ratio’s? This deterioration in affordability of property in Cardiff over the last couple of years has been one of the reasons why the younger generation is deciding more and more to rent instead of buy their own house. It’s easy to look at the headlines and blame landlords. First time buyers have been able to access 95% LTV mortgages since 2010, meaning even today, a first-time buyer could purchase a 1 bed apartment in Cardiff for around £120,000 and only need to find £6,000 deposit. Yes, a lot of money, but first time buyers need to decide what is important to them. Either save up for a couple of years to save the deposit and go without two annual foreign holidays, the full Satellite or Cable TV package with Sports and Movies costing three figures a month, the latest mobile phone and out socialising … or not as the case maybe? Those Cardiff people who are looking to sell their property in 2017, need to be aware of the risks of over pricing their property when initially placing it on the market. Over the last 12 months, I have noticed the approach of a few Cardiff estate agents is to suggest an inflated asking price to encourage the homeowner and secure the property to sell on their books. The down side to this is that when offered to the market for the first time, buyers will realise it is overpriced and wont waste their time asking for a brochure. They won’t even view the property, let alone make an offer. So when the price is reduced a few months later, the property has become market stale and continues to be ignored. 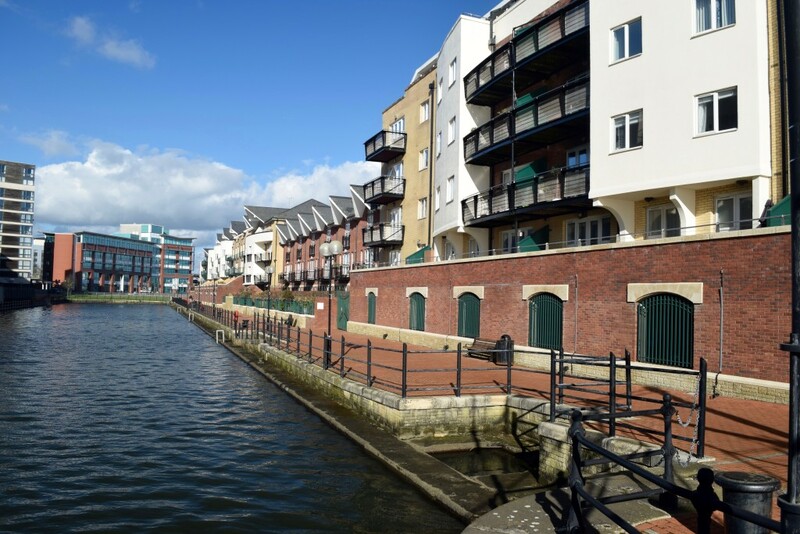 This blog follows the property market in Cardiff focusing specifically on Cardiff Bay. You'll find my tips, guidance and analysis that relates to the property market in Cardiff. The deals will be on the market with other agents in Cardiff as well as ourselves. I like to look at the whole of market and give you, what I consider the best investment opportunities. Hello my name is Kate Gwinnutt. Myself and my family have been involved in the Cardiff property market since 2002. I am the Sales and Lettings Director, and my Father and I own and run our Estate and Letting Agency, Northwood. 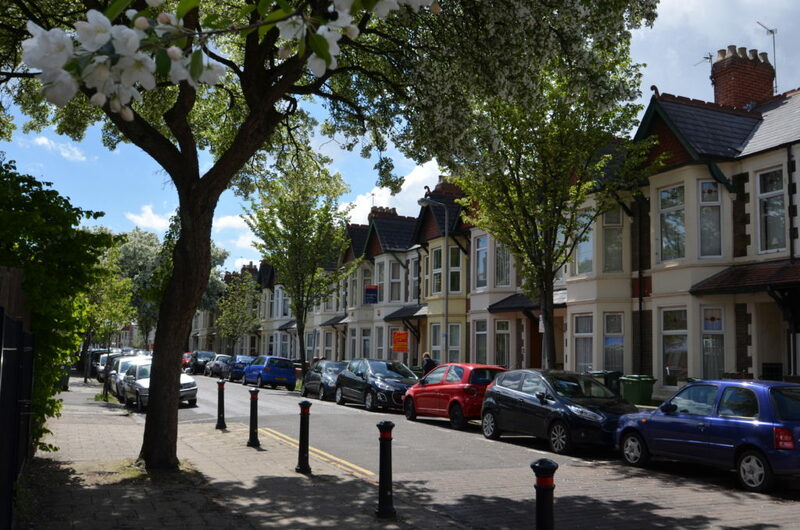 At Northwood I have always shared my thoughts on the local property market in Cardiff with our landlords and home owners, but now using modern technology, I want to share it with everyone on this blog. If you would like to chat about the Cardiff Property Market, be you a buyer, seller, landlord or tenant – then give me a call or email me. If you are a buy to let investor and see a potential investment in Cardiff and would like a second opinion, email the Rightmove link to me, I am always at hand to give you my opinion on its value and likely rent it could achieve. Just drop me a line on 02920 301141 or email me at kategwinnutt@northwooduk.com.